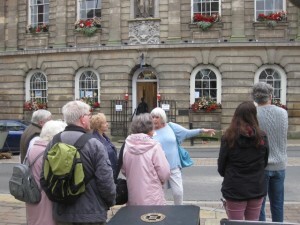 On Saturday 7th July, there will be another Unlocking Warwick tour around the inside and outside of the Court House in Jury Street, with volunteers telling of the history of the buildings on this central site and introducing visitors to Warwick’s rich past. There are no courts there any longer, but the Grade 1 listed building, designed and built by Francis Smith in 1725, has been recently restored with a Council Chamber and offices, the Warwickshire Yeomanry Museum in the basement, the Visitor Information Centre and a beautiful Regency Ballroom. 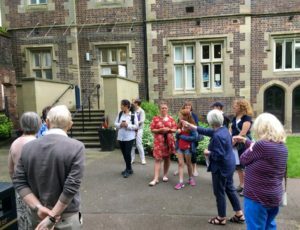 The tour lasts just 45 minutes and is free to attend. Just turn up at the Visitor Centre for a prompt start at 11am. Volunteers Paula and Sue will be standing by to give you a flavour of Warwick’s development from a Saxon fort to the thriving market town it is today.